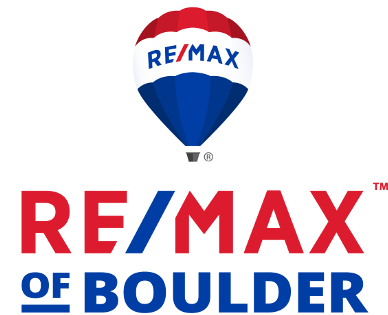 Some or all of the listings below are provided by the RE/MAX of Boulder - Canyon Blvd office. VIEWS, VIEWS, VIEWS from this amazing location on the top of Balsam Hill. You will absolutely love this sprawling ranch with amazing in door/out door living. An entertainers dream! Open floor plan with hardwood floors throughout. Private master suite with stunning views right from your bed! Walk, bike, ride directly into the Heart of Downtown Boulder and all it has to Offer. Don't miss out on your chance to live in this vibrant community! This lovely home offers everything that today's active family is searching for! Arguably one of the best locations, situated in a cul-de-sac, backs to open space & abuts park. Minutes to trails. Meadow Glen pool/tennis club, schools, golf, E. Bldr Rec. Ctr. Sun drenched master. formal/casual living spaces, office, mud room + screened in porch! kitchen has high end appls, cherry cabs, concrete/granite tops,efficient use of space & beautiful design.This is the house where everyone wants to gather! MAJOR PRICE ADJUSTMENT on this custom estate Ranch home is quietly situated on a serene 5.15 acre lot. Fantastic site with old growth trees that is frequented by local flock of wild turkeys & Landmarked with your own silo. Fully remodeled home features all new Anderson windows & doors, solid core interior doors, Borghini quartz counters, High end stainless appliances, custom bath tile, and master steam shower. Over sized 3 car gar. has a loft/office/4th bdrm. above garage with outside entrance. On Little Thompson district water, but includes domestic well permit too. Tilt up concrete construction, this home is built like a fortress. Located along a very popular bike route on 83rd St. This home has a 2nd floor loft above great room as well as above garage, but otherwise feels like a ranch style home. Sq. Ft. Upper includes both lofts. This lovely home offers everything that today’s active family is searching for! Arguably one of the best locations, situated in a cul-de-sac, backs to open space & abuts Meadow Glen park. Minutes to trails. Meadow Glen pool/tennis club, schools, golf, E. Bldr Rec. Ctr+. Sun drenched master en suite. Both formal/casual living spaces, office, laundry/mud room + screened in porch! Bulthaup kitchen has high end appliances, cherry cabs, concrete/granite counters, efficient use of space & beautiful design. Finished lower level.This is the house where everyone wants to gather! MAJOR PRICE ADJUSTMENT! Custom estate home on serene 5.15 acres with old growth trees & frequented by local flock of wild turkeys & Landmarked with your own silo. Fully remodeled home features Borghini quartz counters, Hi end appliances, custom bath tile, and master steam shower. Over sized 3 car gar. has a loft/office/4th bdrm. above garage with outside entrance. On Little Thompson district water, but includes domestic well permit too. Tilt up concrete construction. On very popular bike route. Charming Italian villa style home on 43 private acres. This stucco and stone home was custom designed and features tile floors throughout, vaulted ceilings, beautiful chandeliers, spacious kitchen. Fireplace in living room and family room. 3-acre lake on the property and reflective pond in front of the home. Mature trees and rock-outcroppings. Spectacular estate on almost 7 acres abutting City of Boulder open space w/ Flatiron & Back Range views. Over 10,000sf between main house, guest house & art studio. Incredible equestrian facility w/ 4 stall barn, indoor riding arena & 4 pastures. Other outbuildings include 2-story workshop and open air entertainment pavilion w/outdoor kitchen & river rock fireplace. 3 car attached & 3 car detached garage. Flexible arena could be car storage or huge indoor rec facility. Well water for irrigation. Please visit www.1131WhiteHawkRanch.com to view over 100 pictures and amazing drone video. Spectacular estate on almost 7 acres abutting City of Boulder open space w/ Flatiron & Back Range views. Over 10,000sf between main house, guest house & art studio. Incredible equestrian facility w/ 4 stall barn, enclosed riding arena & 4 pastures. Other outbuildings include 2-story workshop and open air entertainment pavilion w/outdoor kitchen & river rock fireplace. 3 car attached & 3 car detached garage. Flexible arena could be car storage or indoor rec facility. Well water for irrigation. Once in a lifetime opportunity to own this stunning Neoclassical masterpiece named 2018 HOME OF THE YEAR by 5280 Magazine. Completely updated with a refined signature style rooted in tradition without a detail missed in this historic home. Features include elegant main floor with abundant light, incredible master suite, & a speakeasy like getaway in the basement. Two spacious balconies provide some of the best views in Denver featuring Cheesman Park, Downtown and the mountains. A Once In A Lifetime opportunity to own and exquisite contemporary farm house which incorporated the original 1900’s farm house into the new architecture. Historic Barn; new custom greenhouse w/GAHT earth cooling/heating, outbuildings, prolific irrigated veggie & flower gardens, abundant hay production; all organic & biodynamically treated last 6 years; multiple water sources=2 shares of Supply Ditch/Long’s Peak water, irrigation well & sub-irrigation – 3 active ditches run through the property. 24 hour notice for showings w/listing agent who must be present for all showings. Property was NOT flooded in 2013. LBP included due to original farm house incorporated into new house. This historic restored 100 year old barn comes w/the most exquisite contemporary farm house incorporating orig 1900's farm house into new 2008 architecture w/radiant heat;new custom greenhouse w/GAHT earth cooling/heating;outbuildings;veggie/flower gardens;abundant hay;35+acres bio-dynamically treated;no herbicides/pesticides used last 6 yrs;multiple water sources=2 shares-Supply/Sub-irrigation/Longs Peak;3 active ditches run thru property. New roof & new ext paint 2019. Qualified Buyers Only. Modern on Mapleton Hill! Rare combo of modern style&materials w/old world charm of Mapleton.A 2017 rebuild,addition&full basement excavation has transformed this into a 4200 sqft contemporary home.Lrg open main level has 7" white oak plank flrs,smooth drywall finish& gourmet kitchen w/Thermador SS.Living rm features soaring ceilings,gas fp,family rm connects to patio/yard.Unique 2nd level-bridge over mainlevel,connecting south beds w/mstr retreat.Mstr features 18'ceilings,private deck&lux bath! A true Chautauqua treasure! This 4 bed 4 bath home exudes the character of a home built in the 40's with the openness of today's homes! Sun filled rooms with large windows bring the outside in.Incredible FLATIRON views!Enjoy Boulder from the outdoor fireplace or the front courtyard.The cleanest garage you have ever seen is 2.5 bays with a dedicated bike storage room.Some of Boulder's best hiking trails are minutes away. You will enjoy living in this quintessential Boulder home-see for yourself! A spectacular hidden retreat only minutes from town. This modern contemporary home is located just inside the Eldorado State Park offering solitude and inspiration with unparalleled views in every direction. Numerous components have been recently updated incl stucco exterior, insulation, new paint thruout, wood flooring, carport addition, lower level re-configured, custom fencing & so much more. World class hiking, fishing, and rock climbing is just steps away. This one is truly one of a kind! Rare corner unit in The Arete w/unobstructed southern & panoramic views of Front Range & Central Park. True definition of luxury living in heart of downtown Bldr. Location & livability offer rare chance to own in one of the premier bldgs ever built in Bldr. Whether a vacation home or full-time residence, this unique turret offers unparalleled sophistication w/no expense spared on upgrades. Lots of built-ins added. Mstr Ste w/custom barndoor, balcony (views! ), custom designed walk-in closet. This recently updated home features Mid-Century modern influences, a light-filled open floor plan, & stunning finishes. Chef's kitchen boasts large island and spacious dining. Main level opens up to tree shaded patio. Gorgeous master suite with spa tub & steam shower and generously sized bedrooms. Architecturally designed details throughout. Features include solar heated radiant floors, electric car port, and heated two car garage. 5 star green rated. Lovelyneighborhood. Short walk to Downtown. First time for sale in over 30 years; classic, traditional 5 bedroom on 1/4 acre lot with lush landscaping. Property is one house away from City Open Space on dead-end dirt road. Huge backyard deck, screened in porch, oversized 2 car garage with workshop, two fireplaces, formal dining room, library/office, large master suite with full separate bath. An incomparable location close to Chautauqua, the University, NIST, NCAR and all hiking trails including Four Pines. Charming turn of the century craftsman house on Historic Mapleton Hill. Light filled floor plan with vaulted ceilings and hardwood floors throughout. Master suite with private exterior balcony and large adjacent loft office. Lower level second private bedroom suite. Extensive renovations and upgrades. Immaculately maintained. Large fenced garden with flagstone patio and established plantings. Carport and 2 car garage. ADU potential. Easy walk/bike to Mt. Sanitas trails and Pearl Street Mall. Stunning Custom Home w/ great curb appeal, circular drive & attractive interior w/ a French Country Charm. Extraordinary architectural detail & exceptional floor to ceiling finishes thru-out. An inviting rotunda-style entry welcomes you to a 2-story living area, gourmet kitchen & elegant dining room. Multiple decks offer big sky & mountain VIEWS! 4 BDRMS up all w/ private full baths + bonus/family room. Terrific lower level game/rec room w/gas FP, kitchenette, media & exercise rooms, bed & bath! Stunning Custom Home w/ great curb appeal, circular drive & an attractive interior w/ a French Country Charm. Extraordinary architectural detail & exceptional floor to ceiling finishes thru-out. An inviting rotunda-style entry welcomes you to a 2-story living area, gourmet kitchen & elegant dining room. Multiple decks offer big sky & mountain VIEWS! 4 BDRMS up all w/ private full baths + bonus/family room. Terrific lower level game/rec room w/ gas FP, kitchenette, media & exercise rooms, bed & bath! Classic Mapleton Hill turn-of-the-century bungalow that has been thoughtfully renovated/expanded into a charming move-in ready home! Perched up on a quiet street (not thru to 9th) overlooking Mt. Sanitas. Immaculately maintained, tasteful finishes & overall good energy abounds.Cherry cabinetry, granite counters, hardwood floors. Fully enclosed yard w/detached 1-car garage +off-street parking (alley accessible).Lovely covered front & rear porches. Raised veggie gardens w/flagstone patio/walkways. LOCATION, LOCATION, LOCATION! The Value is in the LAND! Great Opportunity in one of Boulder's Most Coveted Premier Neighborhoods in Upper Chautauqua. This large lot (4 lots - totaling 12,500 SQFT) is a fantastic opportunity to Build Your Dream Home at the base of the Flatirons & just a short walk to incredible trails. Existing home does need work, but offers a sprawling main floor & upper floor studio space. LOCATION, LOCATION, LOCATION! The Value is in the LAND! Great Opportunity in one of Boulder's Most Coveted Premier Neighborhoods in Upper Chautuaqua. This large lot (4 lots - totaling 12,500 SQFT) is a fantastic opportunity to Build Your Dream Home at the base of the Flatirons & just a short walk to incredible trails. Existing home does need work, but offers a sprawling main floor & upper floor studio space that is currently rented. Call Listing Agent w/ Questions. Ranch style home by Whitten Design Group built by Henson Construction on one of the last lots a Portico. Currently under construction- buyers may choose some finishes for a limited time. Hardwood on main floor except study, bdrms and baths. Expansive main level living w/3 bedrooms, study, great rm, dining rm, laundry and kitchen. Rec room, 4th bedroom & storage in the basement; huge 3 car garage; Energy Star-Solar PV System; 90% LED lights; passive radon. Details/Finishes subject to change. Custom Built Ranch Style home designed by Whitten Design Group and built by Henson Construction, Inc., located on one of the last lots at Portico. Currently under construction and scheduled for completion approximately March, 2019. Buyers have a limited time to choose finishes as of 12/08/2018 as home is moving along to completion. Cabinets are clear alder and hardwood is scheduled for the entry, kitchen, dining, great room and gallery/hall. The basement is partially finished with a large recreation room w/walk behind wet bar, 3/4 bath and a bedroom. Garden windows provide an abundance of light. Energy Star-Solare PV System is installed/8.05 KW/PV Arry w/12620 KWH est. average solar annual electric production & 90% LED lighting 7 HRV mechanical ventilation. Passive radon installed. Room dimensions and square footage by Appraisal Dimensions differ from room dimensions on building plans. Buyer to verify dimensions that are important to them. Exceptional Custom Home Backs to the Indian Peaks Golf Course w/ Gorgeous & Expansive Mountain VIEWS! Enjoy wonderful indoor/outdoor entertaining & living spaces w/ extensive TREX decking & built-in outdoor kitchen/BBQ. Open floor plan w/ vlt ceilings, Cherry Wood Flooring & Cabinetry thru-out, gourmet kitchen w/island & high-end appl! All BR's w/ private baths. Luxury master suite w/ fireplace & balcony w/ views. Impressive W/O w/ rec/game room, exercise rm, bed, bath & 1500 bottle wine cellar! End unit, 3 bedrooms, 3.5 baths, with 3rd story 18x9' deck and 21x14' rooftop deck with incredible Flatirons views. Clean brick exterior with black trimmed windows makes these modern rowhomes stand proud on east Pearl Street. Sophisticated Scandinavian inspired modern interiors; white oak floors, Caesarstone countertops, and stainless steel appliances. Private patio yard off main level for morning coffee and al fresco dining. 1 car garage + 1 tandem space off alley. End unit with 468 square feet 3rd floor deck with Mt. Sanitas views. 25 x 11' main level patio yard. Sleek modern design with 2 interior finish options. Brand new home to be completed early summer of 2019. Stucco and stone exterior. 4,000 sq.ft. including attached garage. Only 8 easy minutes above Boulder. Rare home setting surrounded by Betasso Preserve on 3 sides. Great producing well (20 GPM). Quality home by Thacker Construction with 30 years of building history in the Boulder Foothills. Pick your amenities and finishes! Everything one desires in Colorado living here at Lake of the Pines!Nestled against the Foothills this home offers privacy/serenity/view+. Gated community w/resident caretaker, private lake offers all h2o sports (bring your ski boat & SUP), surrounded by nature yet only 10 mins into town!Terrific open, sun drenched floor plan, great connection via multiple decks/patios to outside spaces. Sep. level for auxiliary bedrooms/rec. room/laundry/office=space from kiddos/guests!Immaculately maintained. Everything one desires in Colorado living at Lake of the Pines!Nestled against the Foothills this home offers privacy/serenity/view+.Gated community w/resident caretaker, private lake offers all h2o sports (bring your ski boat & SUP), surrounded by nature-10 mins into town!Terrific open,sun drenched floor plan, great connection w/multiple decks/patios to outside spaces.Sep.level for auxiliary beds/rec.room/laundry/office=space from kiddos/guests!Immaculately maintained.20k credit for int. paint. 3 story unit with 3rd floor and roof top decks! 240 sq.ft. patio yard off main level for indoor/outdoor entertaining with direct access to garage. Top floor en-suite bedroom could be office or lounge. 3 bedrooms, 3.5 baths, with 3rd story 18x9' deck and 21x14' rooftop deck with incredible Flatirons views. Clean brick exterior with black trimmed windows makes these modern rowhomes stand proud on east Pearl Street. Sophisticated Scandinavian inspired modern interiors; white oak floors, Caesarstone countertops, and stainless steel appliances. Private patio yard off main level for morning coffee and al fresco dining. 1 car garage + 1 tandem space off alley. WELCOME HOME to this expansive ranch-style home nicely appointed on a nearly 1- ACRE Lot w/ circular drive backing to open space & even has a 4-Hole Putting Green! The sprawling interior offers an elegant great room w/ 2-story ceilings & windows, executive office w/ Cherry built-ins & main floor master suite w/ access to TREX back deck & luxury 5-PC bath. Massive W/O lower level w/ 3 BDRMS all w/ pvt baths, large rec/game room w/ wet bar & fireplace. Oversized 4-Car Garage for all your toys too! WELCOME HOME to this expansive ranch-style home nicely appointed on a nearly 1- ACRE Lot w/ circular drive backing to open space & even has a 4-Hole Putting Green! The sprawling interior offers an elegant great room w/ 2-story ceilings & windows, executive office w/ Cherry built-ins & main floor master suite luxury 5-PC bath & access to TREX back deck. Massive W/O lower level w/ 3 BDRMS all w/ pvt baths, large rec/game room w/ wet bar & fireplace. Oversized 4-Car Garage for all your toys too! Hard to find this combination of location, view, privacy and comfortable elegance and here it is! Fully renovated So Bo home with custom finishes. Stunning city and Flatiron views on a huge 1/3 acre lot. Main floor master suite. Chef's Kitchen. Multiple outdoor living spaces with amazing views and privacy. 1 bedroom/1 bath ADU-rental. Miles of trails right out your front door. close to all the amenities South Boulder has to offer. Hard to find this combination of location, views, privacy and comfortable elegance-here it is! Renovated So Bo home with custom finishes. Stunning city and Flatiron views on a huge 1/3 acre lot. Main floor master suite. Main floor study. Roomy kitchen with double oven, gas range, SS appliance, granite and more. Multiple outdoor living spaces with amazing views and privacy. 1 bedroom/1 bath ADU-rental. Miles of trails right out your front door. close to all the amenities So Bo has to offer. Live your South Boulder dream in this wonderful home w/gorgeous Flatirons views, backing to open space on a cul-de-sac on coveted Galena Way in Shanahan Ridge. Featuring an open floor plan, mtn-view windows galore, hw floors, vaulted ceilings & more. Upstairs you'll find 3 bedrooms, including a spacious master w/ luxury 5-piece master bath & walk-in closet. Outside spaces immerse you in nature, tranquility & sunlight. Walking distance to all school levels & trails; near shopping, dining, heaven. Live your South Boulder dream in this wonderful home with gorgeous Flatirons views, backing to open space on a cul-de-sac on coveted Galena Way in Shanahan Ridge. Featuring an open floor plan, windows galore, hw floors, vaulted ceilings, & more. Upstairs you'll find 3 bedrooms, including a spacious master w/expanded luxury 5-piece master bath & walk-in closet. Outside spaces immerse you in nature, tranquility & sunlight. Walking distance to all school levels & breathtaking trails; near shopping, dining, heaven. A tear down to bare studs & pop-top renovation expertly constructed, the excellence is shown throughout. An open floor plan provides 4bd, 5ba with a 463sf rooftop deck providing panoramic views of the city! A fully finished walk-out basement, possibly suitable for AirBnB/VRBO, leading to a yard & a detached 2car garage. Premium location in the heart of LoHi restaurants, shops, gyms, boutiques & everything Highlands lifestyle with easy access to the highway and public transportation.Welcome Home! Beautiful Victorian SITE CONDO brought back to life and completely redone. New construction with very few exceptions. The main floor has an open floor plan offering smartly designed features which includes large windows for plenty of light, open kitchen design, living room with fireplace, study and dining room, upstairs with 2 bedrooms and 2 baths. Large deck off the living room and inviting FRONT PORCH. All new updated finishes and appliances. Includes one car detached garage with some storage. This lower Sunshine Canyon home offers close in mountain living at its easiest & best. Special features include decks & walls of windows designed to take in breathtaking back range & city views, outdoor & indoor jacuzzies, steam shower, fenced in garden & water feature, updated kitchen, open floor plan, wood floors, vaulted ceiling, & private master suite. This is a well-constructed classic mountain home on 2.3 acres of solitude & privacy with abundant birds & wildlife. Don't miss the studio. GREAT LOCATION, MINUTES TO PEARL, CU, ALFALFA'S. Beautiful Victorian MOVE IN READY & completely redone. Nearly New Construction from foundation up. Home has the Charm of Historical Victorian and the conveniences of new modern finishes. Offering large windows, modern kitchen, open floor plan, gas fireplace, wood floors throughout & large deck off the living room and inviting FRONT PORCH. All new foundation, mechanical, plumbing, electrical, appliances and roof. One car detached garage w/storage. This university hill solid brick home between Chautauqua & Beech Park features elements of its 1920's origins: decorative painted brick, projecting porch w/ parapet roofline, arched openings, & overhanging eaves. The interior features solid oak floors throughout main level, formal living room w wood burning fireplace, period tile surround, & large updated windows. Exterior features: lg SW deck off living room, shaded flagstone patio, lg fenced lot, large 2-car detached garage with alley access. End unit with private patio yard with direct access to garage. The only two bedroom plan in the project. Both bedrooms are en-suite. 3rd floor deck with amazing views. Here’s your chance to own one of only 4 coveted “Treehouses” at Walnut Creek! Tucked in the back across a private bridge & fronts the Boulder White Rock Ditch, this hidden gem is just blocks from Pearl Street & offers striking architectural & contemporary design. The 3-story floor plan offers a sleek & modern interior, comfortable indoor/outdoor living spaces & high-end finishes. Top floor master suite w/5-PC bath & West facing balcony w/Views. 1-car attached garage & 1-designated parking space! Here's your chance to own one of only 4 coveted "Treehouses" at Walnut Creek! Tucked in the back across a private bridge & fronts the Boulder White Rock Ditch, this hidden gem is just blocks from Pearl Street & offers striking architectural & contemporary design. The 3-story floor plan offers a sleek & modern interior, comfortable indoor/outdoor living spaces & high-end finishes. Top floor master suite w/5-PC bath & West facing balcony w/Views. 1-car attached garage & 1-designated parking space! Historic turn of the century brick Victorian recently relocated & rebuilt!All the charm of yesteryear w/new mechanics/foundation/kitchen/bathrooms.Beautifully executed, high end appliances, exposed brick, dual staircases, hardwood floors, refurbished cabinetry/lighting/fixtures. Central location, no car necessary here! Walk to Pearl St, Boulder Creek Path, CU+. Welcoming covered front porch set back from street!Off street parking for 3 cars. Unique investment opportunity to buy this & 1630 9th! An abundance of sunshine, privacy and unparalleled views! Extraordinary quality and craftmanship throughout offers you the custom home and Colorado mountain living lifestyle you've always dreamed of! Features include a chef's gourmet kitchen, expansive great room w/vaulted ceilings, luxurious master suite and spacious decks for entertaining family and friends. Lower level offers in-law guest suite. Prestigious 'Sunshine Point' is aptly named and a true community of friendly neighbors. Stunning Blue Heron Home in a peaceful private setting backs to wide open space w/ lovely mtn & spring/summer lake views! Spacious & updated floor plan offers 2 main floor study's w/ fireplace & built-ins, a generous sized great room w/ 2-story ceilings & windows, gourmet eat-in kitchen w/ island, slab granite & SS appl. opens out to expansive deck. 4 Large BDRMS up incl. master suite w/ fireplace & 5-PC bath. Nicely finished garden-level bsmt w/ 2 addtl bdrms, bath, rec/family room & fireplace! Stunning Blue Heron Home in a peaceful private setting backs to wide open space w/ lovely mtn & spring/summer lake views! Spacious & updated floor plan offers 2 main floor study's w/ fireplace & built-ins, a generous sized living room w/ 2-story ceilings & windows, gourmet eat-in kitchen w/ island, slab granite & SS appl opens out to expansive deck. 4 Large BDRMS up incl. master suite w/ fireplace & 5-PC bath. Nicely finished garden-level bsmt w/ 2 addtl bdrms, bath, rec/family room & fireplace! Great location for walking or biking to groceries, coffee, restaurants-great floor plan for entertaining or just living.3 upper level bedrooms with a guest suite in the lower level.Master bath is new and Zen. Private office on the main level with built-in bookshelves.Hardwood floors & 3 cozy fireplaces.Largest lot in subdivision features gardens & fruit trees.Murphy bed stays.Outdoor spaces include master bedroom deck, screened in porch and backyard deck. Come visit-you won't be disappointed. Great location for walking or biking to groceries, coffee, restaurants-great floor plan.Wall off loft for 4 upper level bedrooms with a guest suite in lower level.Master bath is new and Zen. Private office on the main level with built-in bookshelves.Hardwood floors & 3 cozy fireplaces.Largest lot in subdivision features gardens & fruit trees.Murphy bed stays.Outdoor space-master bedroom deck, screened in porch & back deck.Skip the hassle of new build size regs-this large home is grandfathered! Stylish Cape Cod home on large private lot in central Boulder. Enclosed backyard. Beautifully updated with newer kitchen, bathrooms, windows, interior paint, fixtures and more. Fully finished basement has had complete remodel w/separate entrance. Perfect set up for ADU(in process) + rental income bonus! Ideal location for bike/walking enthusiasts! Quick & easy access to parks, schools, Rec. center, Ideal Community plaza and more. Good energy abounds in this property and will not disappoint. Gorgeous 2-story in coveted Meadow Glen surrounded by parks, ponds, mature trees & winding trails. Open floorplan with large rooms, vaulted ceilings, big windows & skylights that flood the home with natural light. Remodeled eat-in kitchen opens to a beautiful sunroom and private patio. Sumptuous living room with vaulted ceiling & gas fireplace opens to the patio. Master retreat with luxurious five-piece bath. Basement has kitchenette, conforming bedroom, spa like bath & large family room. Beautiful renovated move in ready home. Approx. 16 minutes to Downtown Boulder or Eldora Ski Resort. AMAZING 360 degree views. Luxury Master bedroom with private deck & Luxury bathroom, sunroom, entertainment room, bar area, office,3 bedrooms & 3 bathrooms, Heated oversized 2 car garage with workbench area, large Deck and flagstone walkways & yard area, Solar panels, Paved circular driveway, flat yard & tons of privacy. Experience the Boulder Lifestyle so many seek. Listing agent owner. Compelling price reduction to this beautiful home with breathtaking views! Welcome home to the best of Wildgrass. This immaculate home features high-end finishes w/ the main floor offering gourmet kitchen w/ granite counters, stainless appliances, custom cabinets, high ceilings, & expansive views. Upstairs is a spacious master w/ fireplace & 5-piece lux bath; plus 3 more large bedrooms & loft space. Situated on over half an acre on a cul-de-sac w/ amenities galore & convenient to everywhere! Amazing location and stunning views from this newly updated home in Lake Valley. Move in ready.Three bedroom, 3 bath home with family room, living room, eat in kitchen, separate dining room and home office. Master suite with fireplace and views from private balcony.Unfinished basement waiting for your imagination.Three car garage with plenty of room for storage and work area. Lake Valley is a golf community with a lake, park and play area and tennis courts. Overnight Notice Please. This immaculate and spacious home sits on .47 acres with views of our foothills and back peaks. 5 bedroom/5 baths. Updated eat in kitchen with family room, living room and formal dining room. Wood floors throughout the main level. Two gas fireplaces.Wood blinds. Gorgeous deck facing views. Upstairs enjoy your master suite with view and private balcony. Two more bedrooms up. Lower level has walk out, two bedrooms ensuite, and rec room.Three car garage attached. Great piece of land in M-1 greenzone, MED has verified that this location can be used for MJ Cultivation! Environmental Phase 1 and soil test completed. Easements are minimal for maximum build-able square footage. Also meets zoning requirements for outdoor storage. Call Agent for details on the Zoning and Usage. Build to suite with Consulting of American Cannabis Company, Inc. Sunny and spacious 2-story home just steps to neighborhood park and trails/open space. Main level bamboo flooring, high end modern kitchen, huge master suite w/ nice deck and northern foothills views. Nicely finished basement features large rec room plus BR and full bath. Great fenced yard w/ patio offers built-in gas grill, gas fireplace, and heaters to enjoy the outdoors year round. Amazing location offers easy access to shops, restaurants, biking, and hiking; just a quick jaunt down to Pearl St. Quick possession available! Sunny & spacious 2-story home just steps to neighborhood park & trails/open space! Main level bamboo flooring, high end modern kitchen, huge master suite w/ nice deck & northern foothills views. Nicely finished bsmt features large rec room plus BR & full bath. Nice fenced yard w/ patio offers built-in gas grill, gas fp, & heaters to enjoy the outdoors through the seasons. Amazing location offers easy access to shops, restaurants, biking, hiking; quick jaunt down to Pearl. Quick possession. Sunny, open floor plan creates an inviting space for large groups but also has cozy options for intimate or smaller gatherings. Mature trees in this large and private backyard transitions seamlessly from the house. Located in the Parkside neighborhood in North Boulder convenient to shopping and restaurants. The basement is partially finished w/ options for your imagination and needs. 2 car attached garage. Sleek modern design. Rare new construction opportunity with unparalleled open single-level floorplans consisting of all corner units. Floor to ceiling windows fill the well thought out space with light. Open and airy, 1682 sq ft interiors with high-end contemporary finish throughout with quartz countertops, custom tile and cabinets, Jenn-Air appliance package. Secure, elevator access building with parking and storage in underground garage. Enjoy true luxury living in Boulder. Complete with fabulous East and West views, this home boasts 4 patios, high ceilings, gorgeous finishes, and a style you will appreciate. We welcome you to come view the wonderful entertaining spaces, the professionally finished basement, huge master closet, and connection to city bike paths. The 3rd floor private balcony was engineered to support a hot tub! The same owner has owned and cared for the home since it was purchased from the builder in 2010. Enjoy true luxury living in Boulder. Complete with fabulous East and West views, this home boasts 4 patios, high ceilings, gorgeous finishes, and a style you will appreciate. We welcome you to come view the wonderful entertaining spaces, the professionally finished basement, huge master closet, and connection to city bike paths. Even the 3rd floor private balcony was engineered to support a hot tub! The same owner has owned and cared for the home since it was purchased from the builder in 2010.